Awarded once again for being the most important travel destination for adventure tourism worldwide, Chile offers: astronomical observation in the world’s driest desert, millenary glaciers in the southernmost areas of the planet, forests and lakes located at the foot of majestic volcanos. Islands full of legends, a wine culture, challenging routes to climb and a Santiago that breathes modernity and trend-setting. 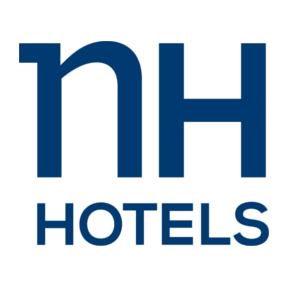 An ideal place for conventions and events. 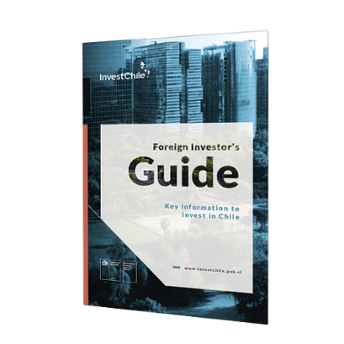 An invitation to develop projects and enjoy the great adventure of Latin America. By Demand. 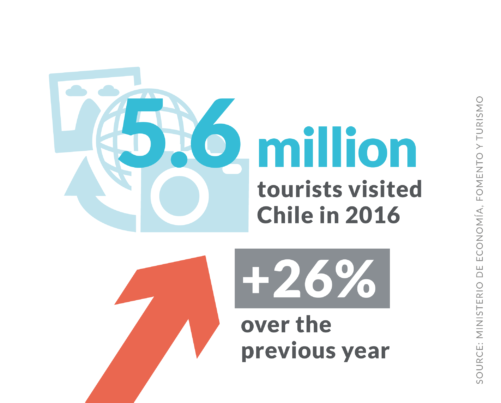 In 2017 a record 6.5 million foreign tourists visited Chile, 14.3% higher than in 2017. This year more than 7 million visitors are expected. 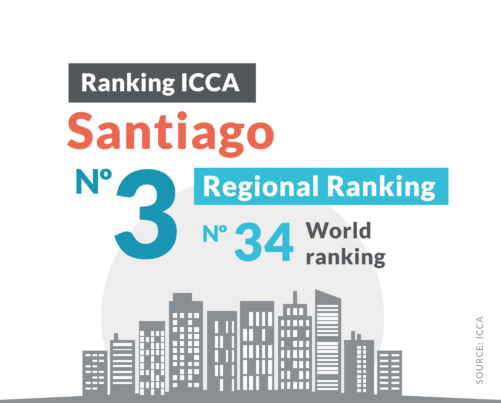 Santiago occupies leading positions in the world ranking of ICCA Congress and Conventions, holding 70 international events a year. By Awards. 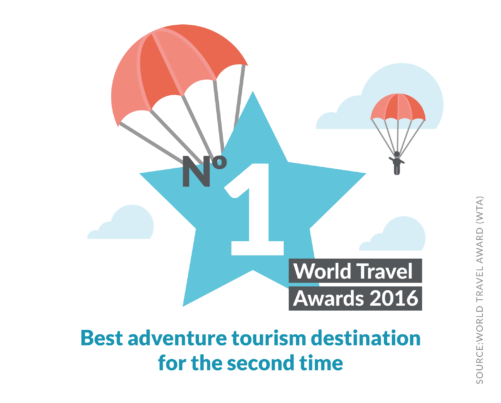 We have been named the best adventure tourism destination for a number of years, according to the latest World Travel Awards. 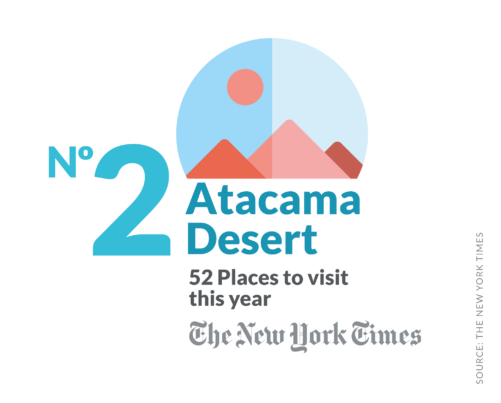 Lonely Planet recommended Chile as one of the 10 countries that must be visited in 2018 and The New York Times (US) placed the Route of Parks in Patagonia as number 6 out of 52 unmissable destinations for this year. The Daily Telegraph (UK) highlighted Santiago as a luxury destination with direct flights from Europe and where it is possible to find a diversity of landscapes in a few hours. 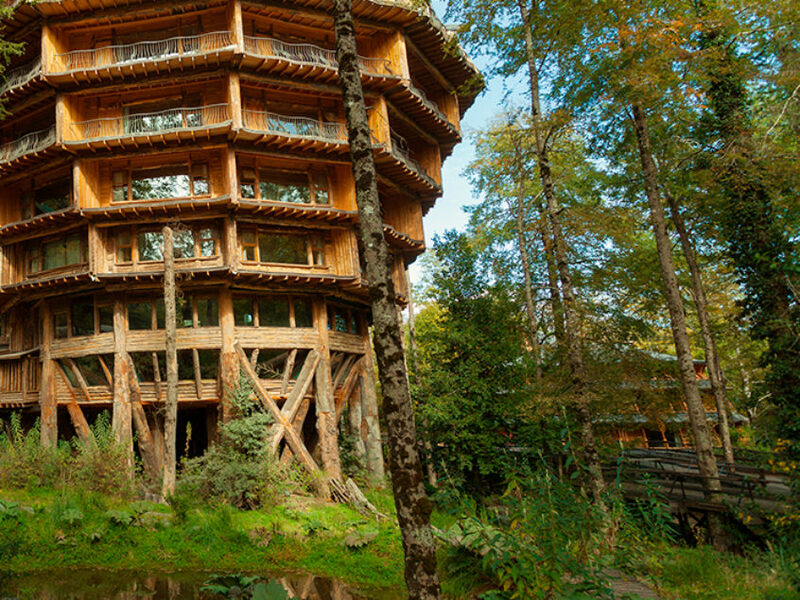 Cape Horn, Huilo Huilo and Chiloé were chosen among the planet’s 100 green destinations by the Dutch non-profit organization Green Destinations (2017). 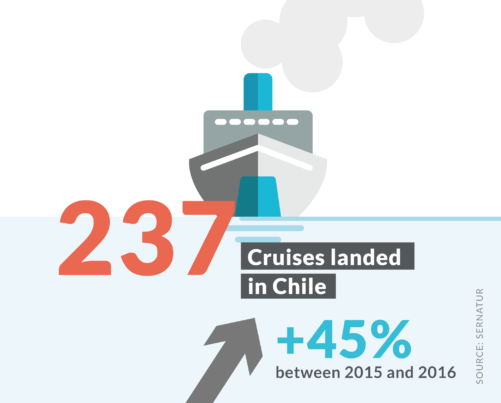 The development of new sustainable tourist attraction areas, with investment potential in infrastructure: nautical tourism, business tourism, astro-tourism, eco-tourism. 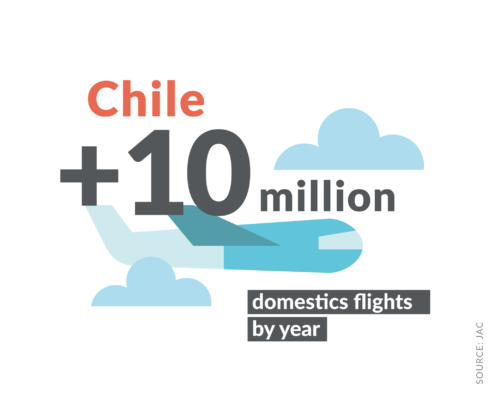 Design and implement technological platforms aimed at improving and diversifying the supply of tourist goods and services in Chile. 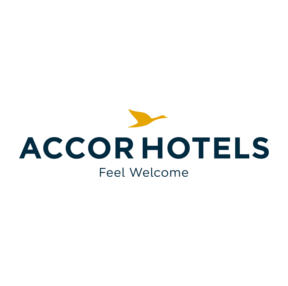 Businesses with potential in new services for consolidated and high demand tourist attractions. 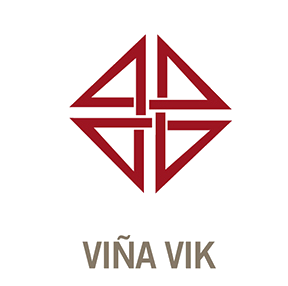 The development of Santiago’s MICE sector (meetings, incentives, conferencing, exhibitions), one of the main business capitals of Latin America.